A large number of pubs developed in Camden Town, Chalk Farm and Primrose Hill to serve thirsty railway workers and many flourish to this day. 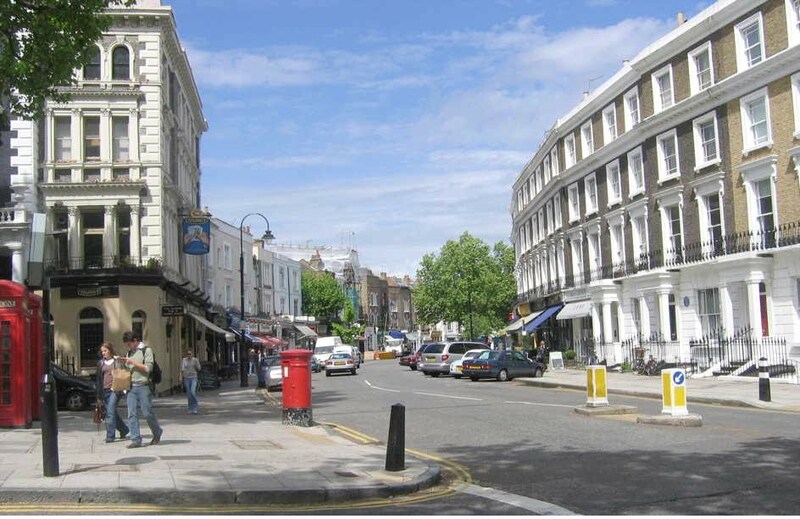 In 1830 Chalk Farm Tavern stood alone on Chalk Farm Lane and, with Primrose Hill nearby, was a popular destination for excursions by Londoners from the 17th century until 1865. It began selling ale in the 17th century (although farming continued until at least 1732) and had become the Chalk Farm Tavern by 1790. It included pleasure gardens on the site now bounded by Berkley Road, Chalcot Square and Sharpleshall Street. At the height of its fame the Tavern boasted a dance floor capable of taking one thousand people as well as a bandstand, known as the Chinese Orchestra, which was 36 feet high. When Primrose Hill Tunnel was being built, the Chalk Farm Tavern was usually the first resting place of navvies killed in the works. By then the Tavern was separated from its gardens by the new road that became Regent’s Park Road. The Tavern was rebuilt in 1853-4 to a size much smaller than its predecessor. The popular Greek restaurant, Limonia, now occupies the 1854 building. The Lansdowne lies on the corner of Dumpton Place and Gloucester Avenue. Dumpton Place provided the access for drivers and firemen to the Passenger Locomotive Shed and other railway facilities located between the Lansdowne and Pembroke public houses. The Lansdowne opened early for railway workers coming off shift. 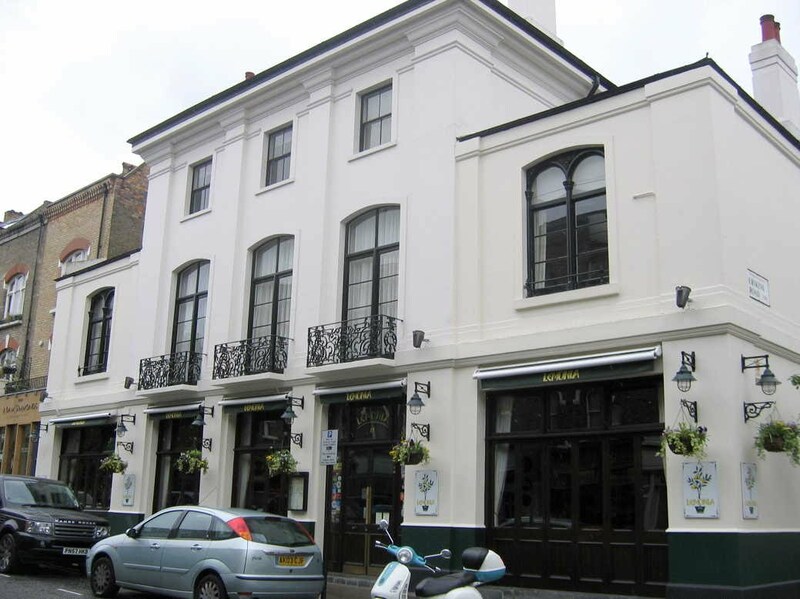 The Queens was built around 1855 in a style matching the neighbouring St George’s Terrace. The inn sign has Queen Alexandra on the park side and a young Queen Victoria on the other side. 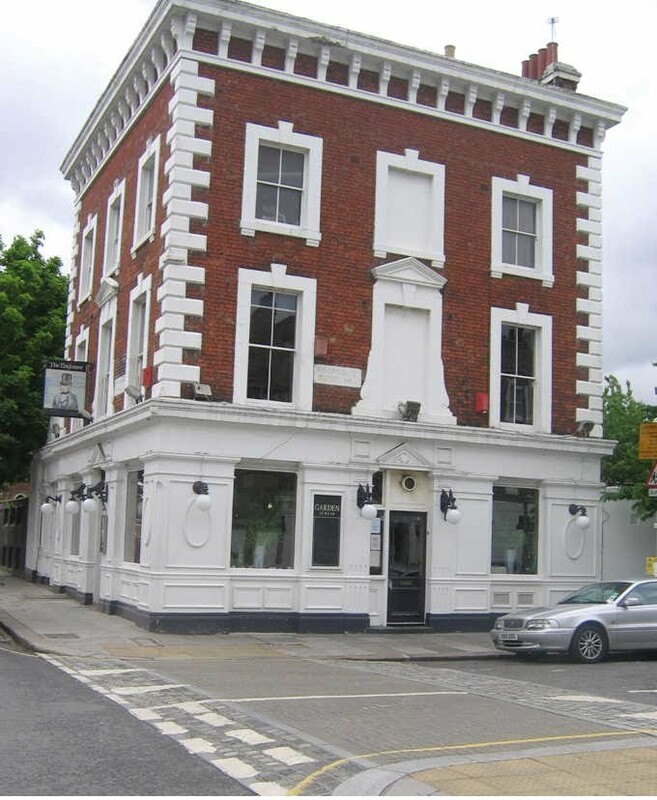 The Engineer on the corner of Princess Road and Gloucester Avenue was built c1855 for Calverts, the well known brewers that also owned the Chalk Farm Tavern. The exterior, in Italianate style, makes for a good example of an early Victorian public house. The engineer depicted on the pub sign is Isambard Kingdom Brunel, gazing down on the Camden Incline built by his friend Robert Stephenson but not incorporated into the London approach of the Great Western Railway as had initially been planned. New stables were also constructed by LNWR in this phase on the south-west side of Gloucester Road on the site behind The Engineer. The blind windows of the stables may be seen in the wall extending from the Engineer to Fitzroy Bridge, all that remains of the stables.